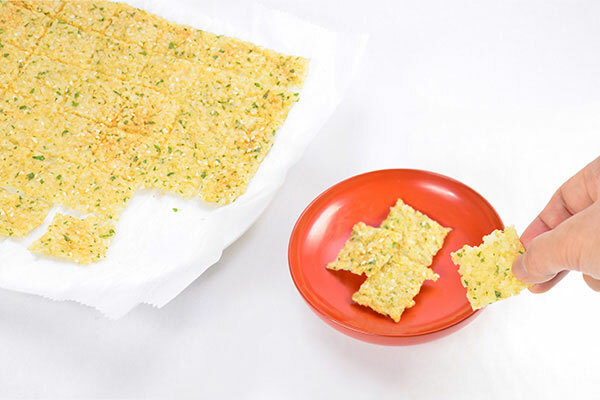 Senbei are Japanese rice crackers which can come in various shapes, sizes and flavours. These make for a delicious snack and you can add all sorts of flavours. 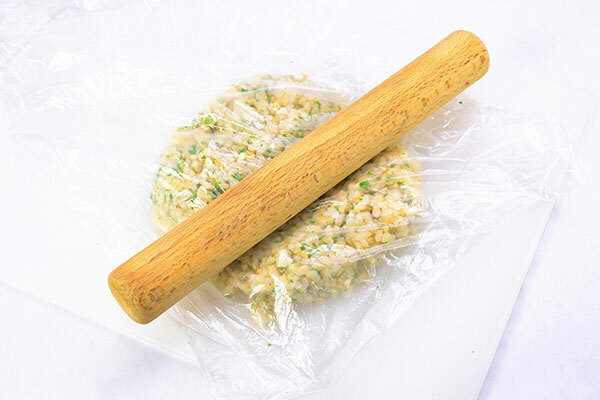 Here is a recipe for homemade Senbei with a bit of a twist…not only do they use up that leftover rice, they are delicious and impossible not to eat all at once! 5. Cut parchment/greasproof paper to same size as the rice mixture. 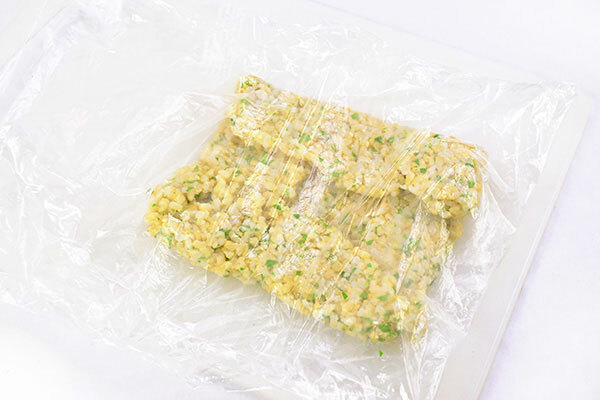 Split open the top of the plastic bag and transfer the rice square to parchment paper. Keep the plastic sheet on top. 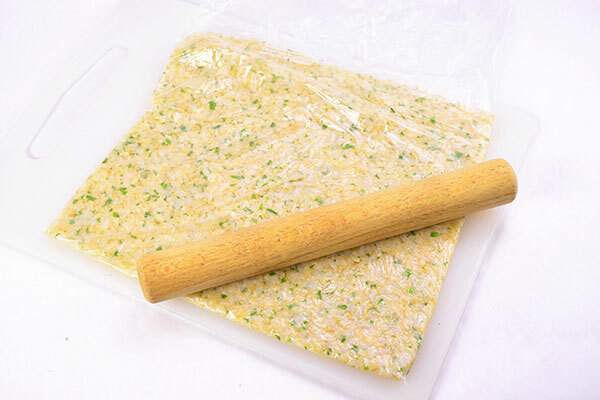 If the rice square is too fragile, use two cutting boards to transfer the rice square. 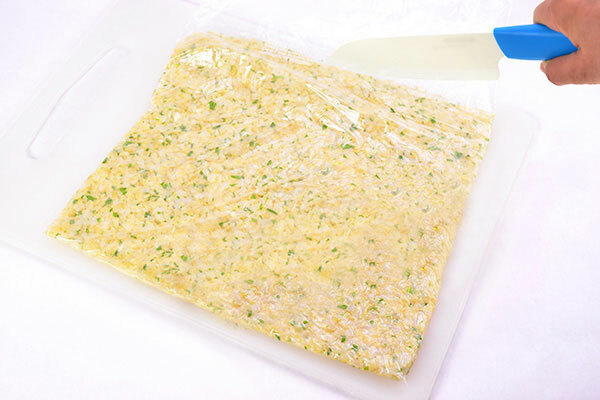 Place one cutting board under the plastic bag with rice square and place the parchment paper over. 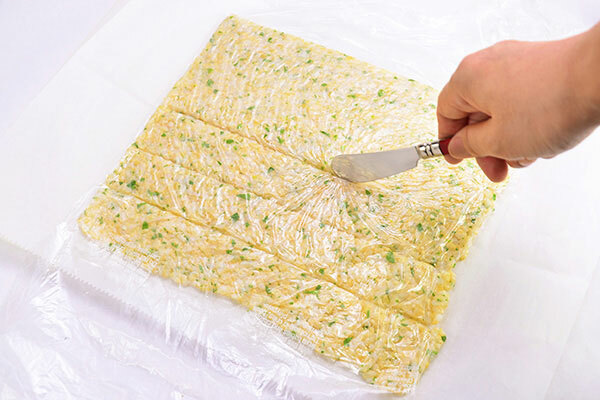 Place the other cutting board over the parchment paper, then flip the boards so that the plastic bag and rice square is on top of the parchment paper. This can be also done using 2 baking sheets. 7. 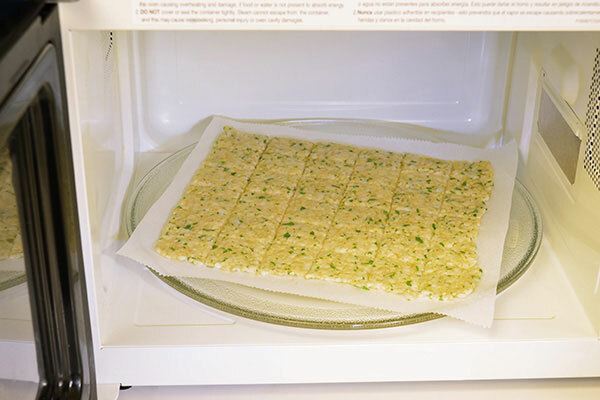 Remove the plastic, place the rice squares on the parchment in a microwave and cook on high heat (at 1200W) for 7 minutes or until the rice dries and hardens. You can also bake in an oven at 170 degrees celcius (350F) for 5 minutes on each side. 8. 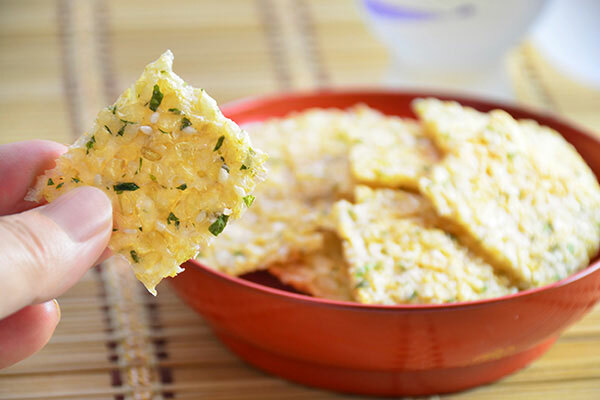 Serve crackers when they are cool to touch. 9. Enjoy with a nice glass of saki! 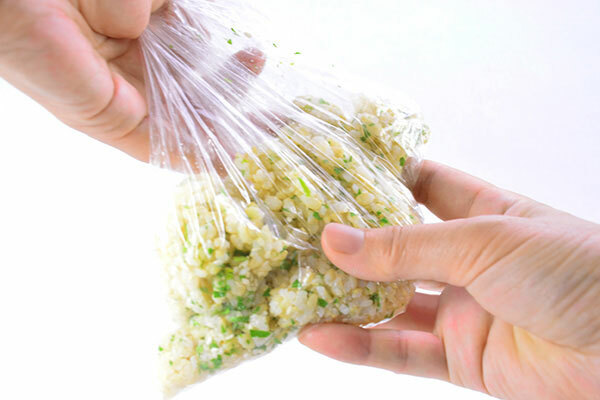 You can also make these with just the rice and sesame seeds, bake in the oven as directed and then brush with a warmed soy sauce and honey mix (1 tablespoon of each, heated together for 25 seconds in the microwave). You can then dry them in the turned off oven for 3 minutes.